Newsom campaigned on a platform of universal healthcare and said the issue would be among his top priorities as governor. His announcement was characterized as a first step toward universal healthcare. “Far away judges and politicians may try to turn back our progress. 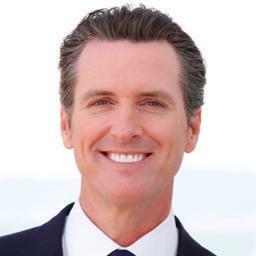 But we will never waiver in our pursuit of guaranteed healthcare for all Californians,” Newsom said during his inaugural address that preceded the announcement on healthcare policy. If enacted, California would become the first state to cover illegal immigrants younger than 26 through Medi-Cal. A 2018 legislative proposal estimated the cost of doing so at $250 million a year. The cost would have to be entirely covered by California, despite the mix of federal and state funds that typically make up Medi-Cal funding. Newsom’s proposal to create an individual mandate follows President Donald Trump eliminating the federal health insurance mandate that was part of Obamacare. The governor’s proposal calls for requiring all consumers in California to carry health insurance. The proposal also outlines subsidy increases for middle-class families to help those who need health insurance obtain it. Also on Monday, Newsom signed executive orders to consolidate California’s prescription drug purchases into a state-run program and to create a surgeon general position that would examine health disparities before they manifest. Additionally, Newsom sent a letter to Congress and the White House requesting legislative changes that would allow California to have the regulatory freedom to overhaul its healthcare system and move toward single payer. Newsom’s proposed state budget, which will be released Thursday, will include some of the new healthcare proposals. Wow, guess I struck a nerve with the social security/medicare haters. There was an extremely prescient book published over 50 years ago now—The Other America, by Michael Harrington—which found that almost one-third of senior citizens in America lived under the poverty line. Within 30 years after the enactment of medicare, that number had been slashed to 10 percent. I understand the argument that you are better able to invest your own money. Believe me, I think that’s a great assumption and I railed against taxes for much of my libertarian fueled youth. I even worked for Libertarian Party candidate Gene Burns back in the early 80’s. Unfortunately, in the real world, libertarianism simply does not work. People just don’t always think ahead financially and very few companies today provide pensions for their workers. Imagine, in this day and age of spiraling medical costs, if seniors had no access to medicare. Poverty rates would soar. I guess all US born California residents should just have their under 26 year olds drop insurance and say they are illegal so they can get free healthcare too. I mean, US born kids english speakers could say they are from Canada or England. We don’t track illegals receiving free services, so how would they know? My point is that California is setting up a system which rewards law-breaking, so why should we only allow illegals to do it? Please tax me more, I don’t contribute enough to the liberal elite. Get ready to say “bye bye” to private health insurance in California. This is only the first step in creating a single-payer system based on Medi-Cal in California. Great political strategy. Create a permanent underclass in vast numbers dependent on government handouts forever so you never lose another election. Treasonous but effective. This is like ringing the bell for the worlds sickest and poorest…..I don’t care one way or another but the tax payers of California need to know the facts….news media… its your time to be as honest as you can…if you can…tell the people what this will cost and what the worse case scenario is…. I wonder how many of the “health care for all” naysayers on this forum receive their insurance through Medicare? 70 or 80 percent is my guess. All paid for in full by the recipient. Yes I use Medicare but it sure as hell is not free. I pay 147.00 a month and if I did not have secondary I would have a twenty percent co pay. The military has to pay for their insurance plus a co pay. Why should an illegal get so called free insurance ce nothing is free. You go to Mexico and need a Dr. You pay. It is time to close our borders and shores. You don’t know who is coming across and what they are bringing. They confiscate our money for 45 years of work to pay for medicare. I don’t see your point. You might wonder how many years they worked and paid into it too! Why should I be forced to “acccept” Medicare when I have a birthday? Why should I be forced to pay for it when I never expect to use it, don’t want it, don’t agree with it and wish it never existed? Medicare isn’t a choice, mercut469. It’s forced upon us. Your statement above is logically, historically, factually and philosophically incorrect. If you’re going to make statements like that on a public forum, be prepared to be called out for it. If you want to give all your money to immigrants, please do so. It’s your choice and I stand by your right to make such a choice with your own property. But if you want to give MY money away without my consent…..that’s what we call theft! Unless of course the government does it. That type of armed robbery we call “taxation” because we don’t think straight anymore.